MPB’s Ron Brown presents some of Mississippi’s best visual artists in the MPB Television series Southern Expressions. Southern Expressions is produced in partnership with the Mississippi Arts Commission. Each program features two artists who share tales about themselves with the television audience and about their work. Writers is a television series from Mississippi Public Broadcasting in the format of an intimate, roundtable discussion on the author’s craft. In each episode, three authors of a specific genre join host Gene Edwards to talk about their work and experience. From early to mid 1940’s, approximately 500 Dutch fliers and other personnel trained at Hawkins field. Dutch Wings Over Jackson tells their story, the story of the girls whose hearts they won, and the story of the relationship between the two countries. The Paul Lacoste Sports Fit 4 Change Challenge is a program put on each year by Paul Lacoste Sports, challenging legislators, state employees and every day Mississippians to lose weight and get healthy. MPB follows four participants in the Fit 4 Change Challenge to see how the journey affects their everyday lives. The lives of Mississippians changed dramatically because of World War II, whether they went to fight in faraway places or stayed in Mississippi to support the war from home. Learn about the contributions that Mississippians made to World War II, both on the home front and the battlefront. Integrating Ole Miss presents the University of Mississippi as a microcosm for the Civil Rights Movement in the state and across the nation. 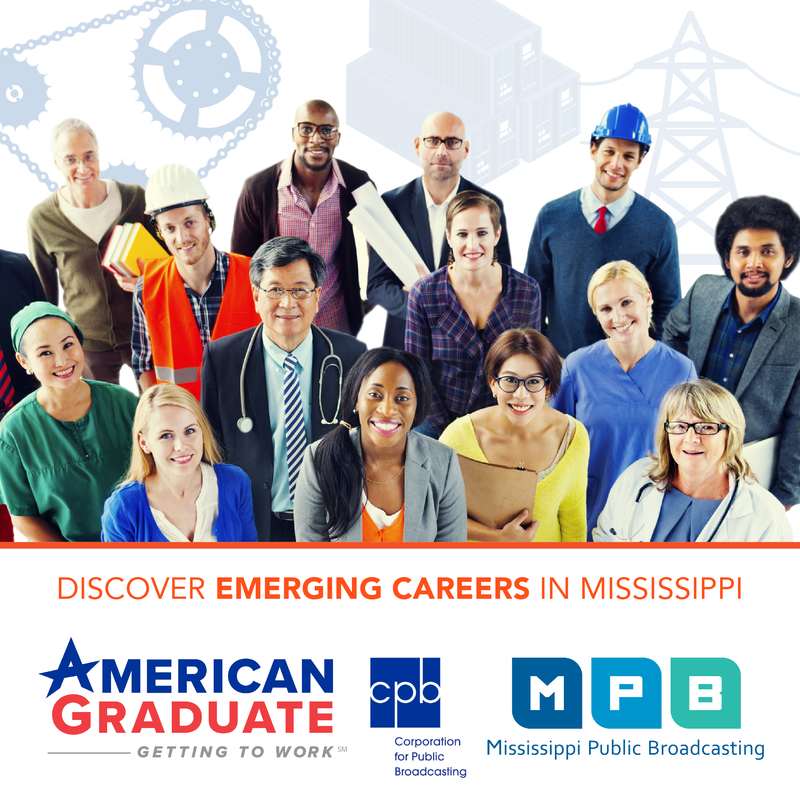 Job Hunter explores the many and varied job opportunities available to Mississippi residents, including looking at a variety of manufacturing industries, healthcare, IT and more.